This is a square flange Washington Power Company porcelain sign. This particular Washington Power Company sign is very colorful. 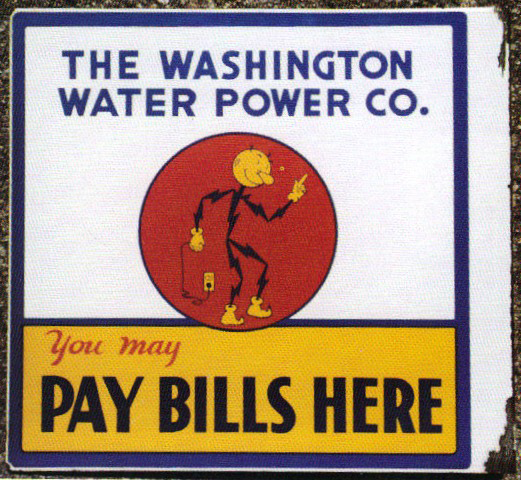 It reads, “The Washington Water Power Co., You May Pay Bills Here” and features a black and yellow lighting bolt cartoon man against a red circle in the center of the sign.